Eight Times Winner of the PAYCE S2S, Andrew Lloyd Shares His Training Tips! 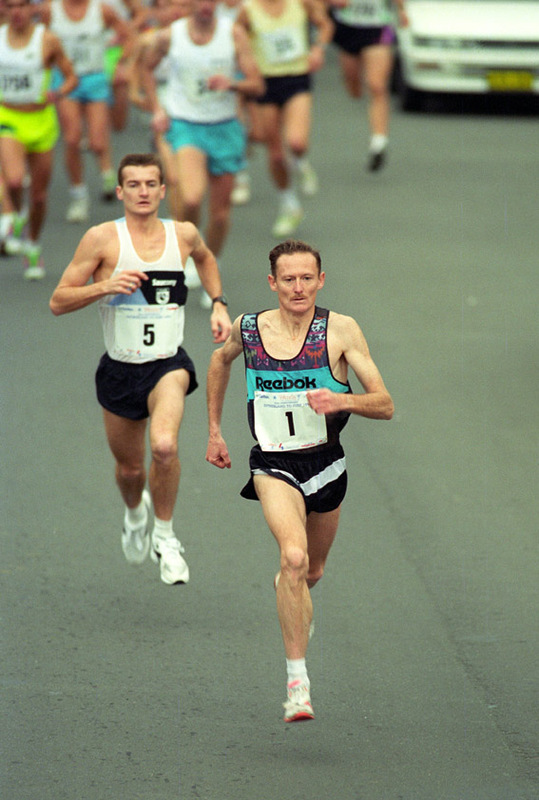 Andrew Lloyd (Lloydie) is the 1990 Commonwealth Games Gold Mens 5000m event winner and only Australian to ever have won this race. 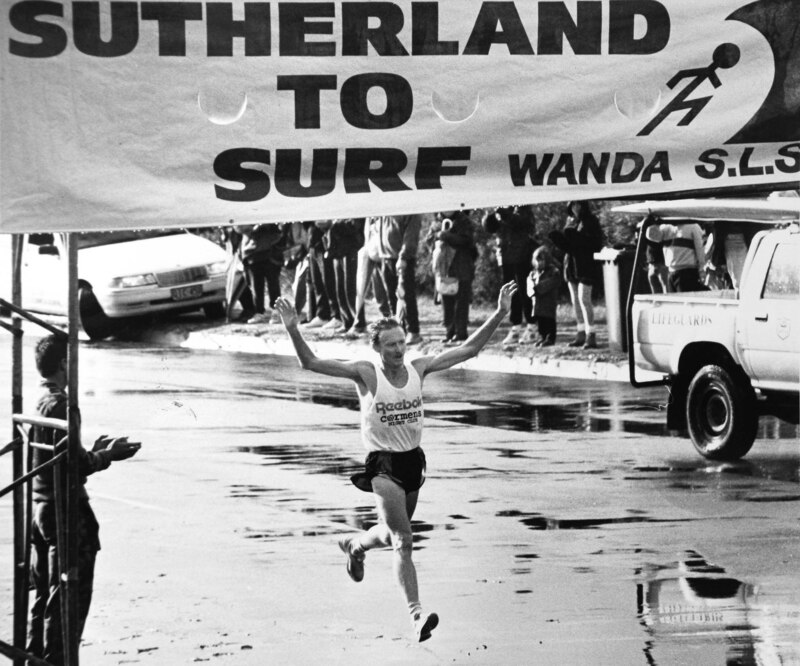 Lloydie hails from the Shire and has also won the the City to Surf four times and the S2S an amazing eight times (1979, 1981, 1982, 1984, 1986, 1988, 1993, 1994). Wanda SLSC invited Andrew to share his tips and hints in training preparation for the PAYCE S2S race day for beginners. Walk jog every 2nd day (200m walk, 200m jog alternating) for 30 minutes. Increase jog and walk to 400m for 40 minutes every 2nd day. Run 5km slow jog 4 times in a week. Time to jog longer 8 km every second day (total 4 runs). Warm up for 1km jog then alternate between slow jog and faster jog 1 minute each. Repeat 6 times then slow jog for 1 km. Do this twice a week with 3 slow jogs 8 km on the other days. Time for a longer run 12 km to 14km once a week with four 8 km runs on other days. Repeat for week 7 and 8 if feeling good increase tempo. You can swap an 8km run with slow fast jog as in week 5. Find a hill that is not too steep time to do hill repeats. A good place, if you live in the Sutherland Shire is Miranda Park, it has great grass hills not too steep. 10 minutes slow jog warm up. Surge up the hill (approximately 300m long) jog down slowly. Repeat 6 times then do a 10 minute slow jog warm down. Do this twice a week with 8 km jogs on 2 other days and 14 km run on any day you feel OK.
Repeat for Weeks 10 and 11. You should be reasonably fit and be able to run how you feel so start to mix up train remembering never have 2 harder runs in a row it is always better to slow run in-between. Over the next few weeks just increase your longer run as you feel. 1 week before the PAYCE S2S it’s time to taper. Do one last long easy run of 12 km, the Sunday before race day. Do 1 surge session easy, on the last Tuesday before race day and then easy jogs up to 2 days before race day. Also time to start hydrating, electrolyte drinks are fine just stay clear of sugary drinks and too much alcohol. The morning of the race suggest a light breakfast, toast honey tea / coffee, avoid a big fry up. Make sure you keep warm, bring old clothes you can discard just before the race. The fastest seeded runners are up the front. So be aware of that because if you get caught up the front you tend to go out fast and this could have negative affects later in the race. At the finish replace fluids and keep warm. I wish everybody good luck and above all have a great day! Disclaimer: The information regarding training tips has been provided by Andrew Lloyd. Please be aware that the training tips are of a general nature. Please seek the advice from your health professional and/or fitness specialist. Wanda Surf Life Saving Club Inc is not responsible for this information.